Wilder Hearts by Lilly Gayle is a combination of a historical western romance and a mystery romance novel. If you love stories about Billy the Kid and western gunslingers, you will enjoy this book. There is a mystery story line involving a serial killer to keep the novel moving along as well as the romance between the two main characters Ellie Wilder and Jake Markham. The book has a slow start, you get some background to the characters but it jumps around a lot between current events, stories that Ellie and her sister Ida Louise tell, and past events. About a third of the way though the novel, when the Wilder family make it to Harmony Texas, the story picks up and moves quickly. From the beginning of the book Ellie and her sister are following their father from Pennsylvania to Texas. Their father Clay is an oil wildcat looking to find the next big oil deposit in Texas. When the they arrive in Austin Texas they’re greeted by the street cleaner outside the train depot. He tells the girls about some murders that have happened recently by a killer named the Servant Girl Annihilator. Ellie is drawn into the mystery and wants to know all she can about the case. While at the train station waiting on their father to fetch their trunks she spots a man resembling a sketch in her book about Billy the Kid and his gang of Renegades. The man she see’s is listed as Jake the Snake in her book but in reality he goes by several names. Ellie is attracted to him right away even if she doesn’t recognize that it is desire at first. She is just intrigued by the mystery, why is he in Austin, how is a wanted man wandering the city unnoticed, is he the Annihilator? Ellie dreams of being a famous writer and thinks telling the story of what happened to Jake the Snake or the story of the Annihilator is her ticket to fame. In Ellie’s innocence she fails to see the danger and trouble associated with her spying and investigating. Jake is actually a Texas Ranger that goes undercover in the small dying town of Harmony. This is also where the Wilder family winds up as Clay Wilder is certain there is oil to be found in that small town. Character development was something that I enjoyed as there were many interesting people the book introduces. From the rich grandfather, to the old town sheriff you really get a feel for each character’s personality. And as the story goes on you start to understand and like them. I liked the historical accuracy of the Oil Industry and its expansion in the west that is used throughout the novel. The author expertly uses accurate descriptions of that time period to really sell the time and place of the old west; and I enjoyed the references to the Texas Rangers and Billy the Kid. This is a great read once you get past the slow beginning chapters. Then the story gains a strong direction and the story flows smoothly. 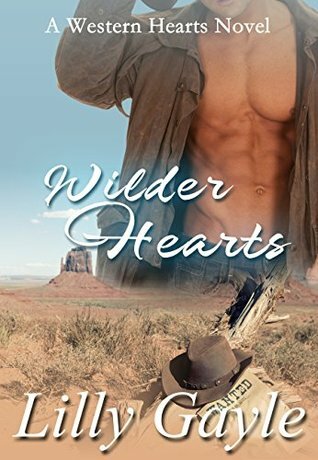 Wilder Hearts provides an adventurous and romantic look at the untamed west that I thoroughly enjoyed.